Researchers at the University of Edinburgh have just unveiled a new camera that can snap photos of objects hidden around a corner. Researchers from the University of Edinburgh in Scotland have just unveiled a brand new camera that has an amazing capability. According to a report from Tech Times, the camera has the ability to track objects in real time and snap photographs from behind a corner. The camera uses a method called echo mapping to carry out this feat. Echo mapping has been used by other cameras to locate objects hidden around a corner, but this is the first time researchers have been able to perform the technique in real time. The study was published in the journal Nature Photonics, and describes the implementation of a single-photon avalanche diode, or SPAD camera. According to Genevieve Gariepy, a co-author of the study, the technology could help computer-guided vehicles evade crashes when taking a sharp turn. It could also prove useful for emergency responders approaching potentially dangerous situations blindly. Gariepy developed the system by combining precision lasers with a sensitive camera module that can lock on to a single photon of light. The increased sensitivity of the camera system has made it the first to be able to track objects around corners with minimal delay. The camera emits short pulses of laser toward the floor in front of a wall. These bounce off of the floor and scatter throughout the room, returning spatial information about the area around the corner and the objects within. 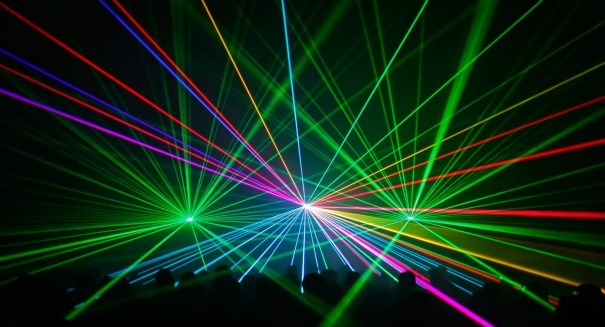 The laser blasts as many as 67 million beams per second, which rapidly creates an accurate image of the location, shape, and size of everything in the room. The camera proved successful and snapping a shot of a foot-tall human statue around sharp corners, and was able to spot multiple objects at a time. The camera also detected movement, and could even calculate the speed of the objects behind the corner. A press release from the University of Edinburgh describing the details of the study can be found here.